I met Meg through a mutual friend a couple of years ago. We stayed connected because we both use Young Living essential oils. 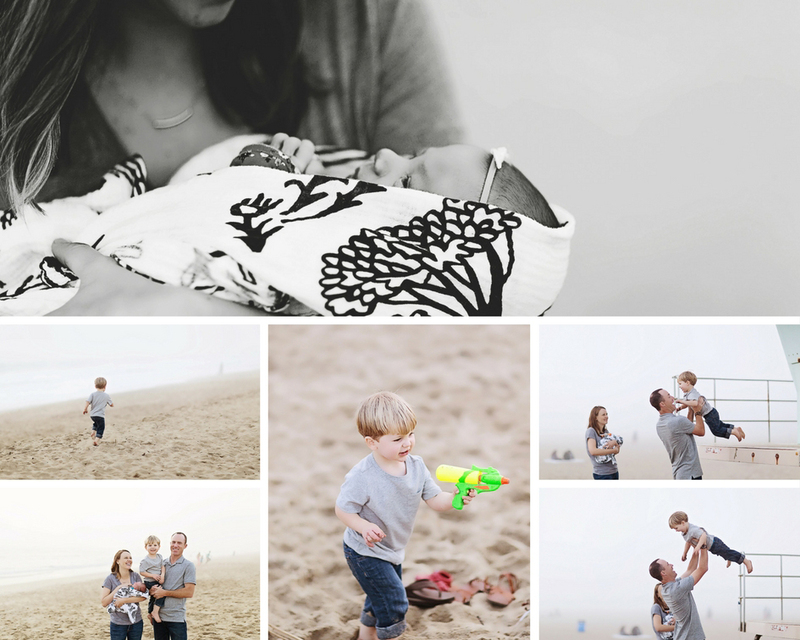 We talk often and when her second baby came, she knew she wanted to have newborn photos done. As soon as she had the baby, I hopped on a flight that next weekend. I flew out Friday late at night and came home Sunday mid-day. It was s really great trip!! Chris from Freebird Shoppe (who is extremely sweet), graciously opened up her home studio for us! I had brought some props, but she let me have access to all of her props and textiles. I was in heaven!! 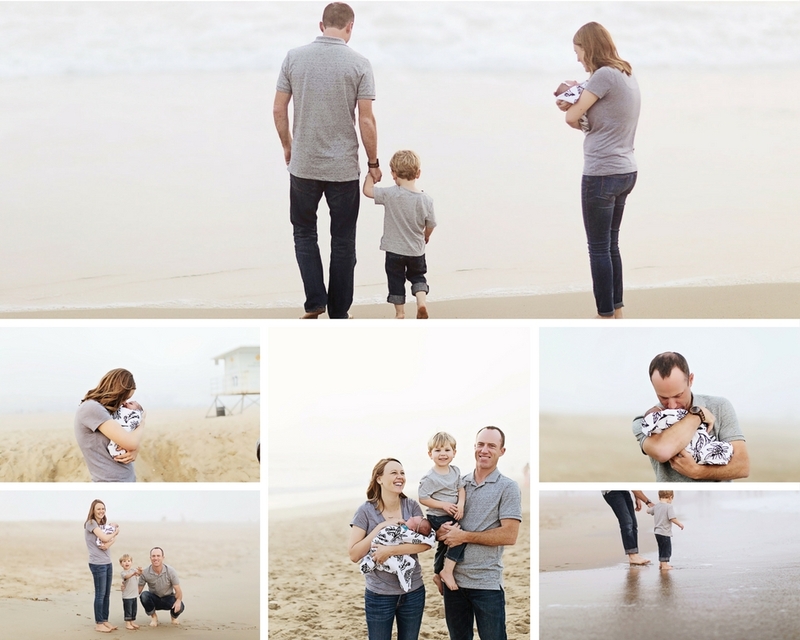 So we arrived at the studio Saturday morning and shot Kate's newborn session there, then I HAD to get in-n-out for lunch, so we did that and then headed back to Meg's place. 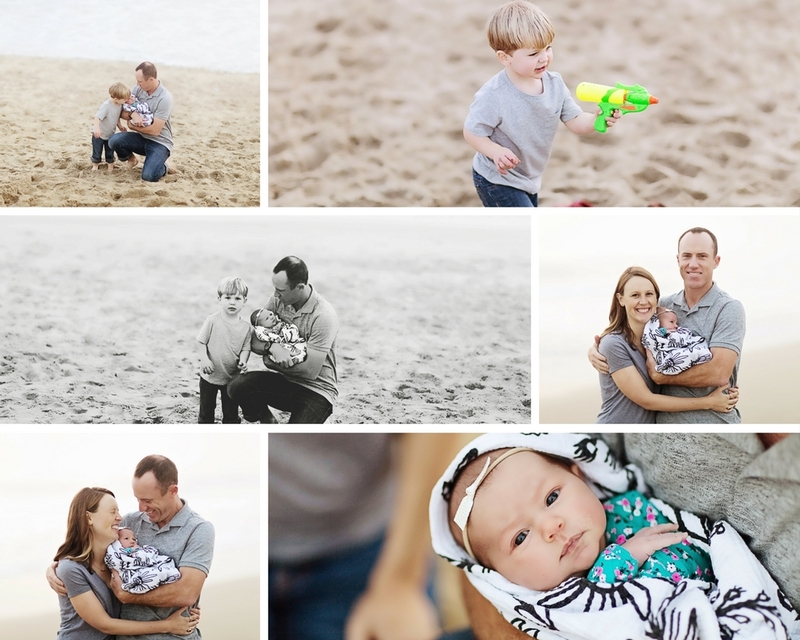 I was able to load those photos before heading to Huntington Beach for some family photos! As soon as we pulled into the parking lot at the beach, there was this huge fog front that moved in. You couldn't even see the sun. We rolled with it though and it created this soft background which was really nice!